His side crashed out in the last 16 against World Cup winners France. 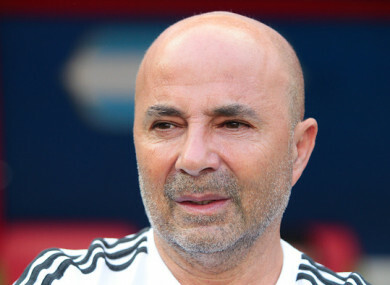 THE ARGENTINE FOOTBALL Association has announced that manager Jorge Sampaoli will not continue as national team head coach following a chaotic World Cup. The 58-year-old has been dismissed by the Argentine Football Association. Email “Argentina sack manager Sampaoli following chaotic World Cup campaign”. Feedback on “Argentina sack manager Sampaoli following chaotic World Cup campaign”.